Let’s face it: experienced or a novice, when it comes to making a career decision, everyone wants a tip or two. Most of you won’t think twice before shelling out money for getting some career advice from a career counselor Some will seek a helping hand from a friend who seems happy with his or her job. And there is absolutely no harm in that. But if only you practiced *observation* you would definitely find that a helping hand begins from exactly where your arm ends. Now that you have a good enough idea that the cosmos carries all the clues and answers to your queries, don’t sit down in a contemplative mood. It’s a good practice to meditate., However, you will benefit more if you keep your observational radars alert. That way, you will at least know how to improve your search. 1. Tips from Your First Job: Have you ever wondered why the very first question of every interview you ever gave has been a static one? “Do you have any experience in software engineering”? That’s the dreadful question. 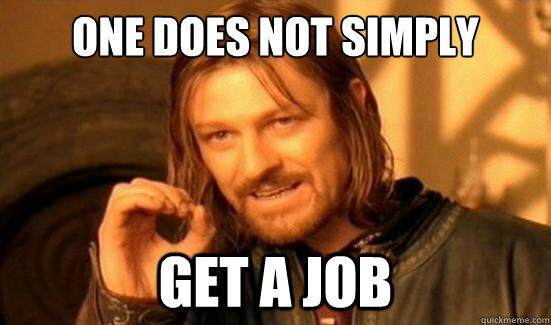 But there is a reason that the interviewees ask you about your prior experience. Everyone will second that their first jobs taught them many survival tricks for their entire career. Whether you hated it or loved it, you owe a lot to it. It taught you how to make a living. 2. Tips from Shakespeare: Initially you might abhor that classic English writing style. But once you got the grip on it you were charmed, flattered and amused. William Shakespeare and his writings have been an inspiration since ages for intellectuals and philosophers alike. It is not surprising that the man who has written so eloquently about human behavior could have made an excellent career guru. However, since his ultimate passion was literature, you can rely on his books for profound insights on human and organizational behavior if you are willing to make a mark in the field of HR. 3. Tips from Friends: First things first, “Friends” here means the upbeat T.V. serial that we all have grown up watching. Some episodes in the series were more than fun; they were “Funspirations”. Remember the one in which “Ross dates his student”. It teaches a thing or two about inappropriate workplace relationships. Then there was one in which Monica had to fire Joey; it was all about making the right recruitment choice. 4. Tips from Rabbits: Yes, you read that right! But what possibly could the cute looking bunny teach you about jobs or job hunt. The petite and extremely tender rabbit is also one of the sharpest animals. It’s a survivor. But can it teach you anything about PHP development? Now, that’s a lot to expect. However, you can learn innumerable job search tips from the bunny’s traits and behavior Notable qualities that you need to learn from it: communication, alertness, quickness, adaptability and grooming. 5. Tips from Jackie Chan: If you are a Jackie Chan fan, you would have definitely read or watched the conversation featuring Jackie Chan in the 4th Toronto International Film Festival. There are a number of career lessons that Jackie Chan imparted through that interview. Not that it was his intention to do so, but his statements were so simple yet profound that you might confuse them with career and life tips. He unabashedly quoted, “I wanted to stand out so I started to do everything opposite of Bruce Lee”; a valuable confession that teaches a lot about competition and winning strategies. Agreed, that matters pertaining to career and jobs should be handled seriously. But CareerBuilder India says that it does not mean that you can’t get a bit innovative with your search.